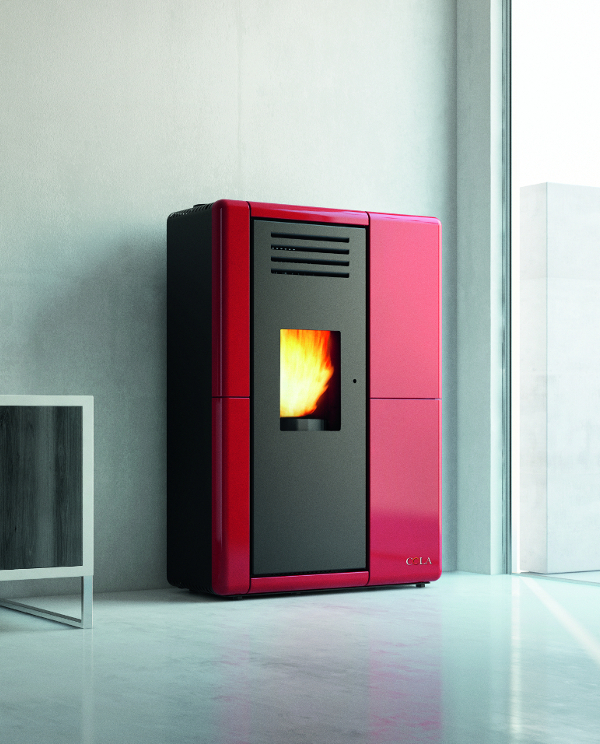 Ventilated pellet air stove suitable for limited spaces at less than 30 cm deep. Painted steel with top and rounded moulding in majolica and a painted cast iron door with panoramic ceramic glass. New-concept high-efficiency combustion chamber. New-generation remote control, pull-out ash pan and handle. Top and bottom fume outlet. Available in five colours.